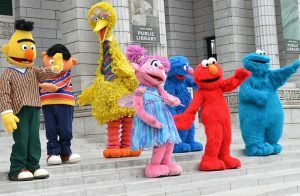 The popular children’s television show “Sesame Street” recently expressed its support for “lesbian, gay, bi-sexual and transgendered” persons on its official Twitter page, generating a range of public responses, from positive to negative. “Sesame Street is proud to support families of all shapes, sizes, and colors,” it wrote on June 23, posting a heart next to the text. It also shared a photograph of various Sesame Street characters lined up in a manner to reflect the colors of the rainbow flag. The post has generated over 134,000 likes as of press time, and over 56,000 retweets.